Provision of project management services on the development of a new Waterspoprts Centre for the Trust at Amble, Northumberland. The development comprised a new facility comprising storage areas, offices, changing and toilet facilities, kitchen, drying room and training area. 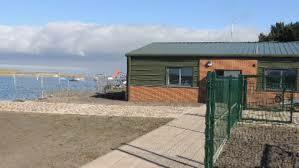 The project also included the provision of a new private slipway and a large secure boat compound. The facility enables sailing, kayaking, canoeing, windsurfing, powerboating and raft building to be provided, as well as training.